This post contains the body of the amicus curiae brief I submitted on July 6, 2015, in conjunction with the Coalition for Mortgage Security, in the appeal of the Perry Capital decision by judge Lamberth of the D.C. circuit. As explained more fully below, the placement of Fannie and Freddie into conservatorship by FHFA was planned well in advance by Treasury. Unlike the rescues of various commercial and investment banks at around the same time, Treasury directed FHFA to place Fannie and Freddie into conservatorship not in response to any imminent threat of failure, but rather for policy reasons and over the objections of Fannie’s and Freddie’s boards. Once in conservatorship, the Companies’ managements had no role in negotiating the terms on which they would be offered assistance; Treasury and FHFA set these terms unilaterally. They included a requirement that any shortfalls in the Companies’ book capital be covered with “draws” of senior preferred stock that never could be repaid, meaning Fannie and Freddie had to pay a dividend to Treasury of 10 percent after-tax in cash, or 12 percent in kind, in perpetuity, on their highest amounts of senior preferred stock outstanding at any one time. This unprecedented non-repayment feature gave Treasury and FHFA an extremely strong incentive to make accounting choices for the Companies that accelerated or exaggerated their expenses and greatly increased their losses, in order to create a large and permanent flow of revenue to Treasury. Between the time Fannie and Freddie were put into conservatorship and the end of 2011, well over $300 billion in non-cash accounting expenses were recorded on their income statements. These non-cash expenses, most of which were discretionary, eliminated all of the Companies’ capital and forced them, together, to take $187 billion from Treasury. But because accelerated or exaggerated expenses cause losses that are only temporary, Fannie’s and Freddie’s non-cash losses began to reverse themselves in 2012. Coupled with profits resulting from a rebounding housing market, the reversal of these losses enabled both Companies to report in August 2012 sufficient second quarter income to not only pay their dividends to Treasury but also retain a total of $3.9 billion in capital. As soon as it became apparent that a large percentage of the non-cash accounting losses booked during the previous four years was about to come back into income, Treasury and FHFA entered into the Third Amendment to the PSPA. The Third Amendment substituted for the fixed dividend payment a requirement that all future earnings—including reversals of accounting-related expenses incurred earlier—be remitted to Treasury. From the time the Third Amendment took effect through the end of 2014, Fannie and Freddie paid Treasury $170 billion, $133 billion more than they would have owed absent the Amendment. Fannie and Freddie never were in danger of failing because of a lack of liquidity, and the mortgages they owned or guaranteed had loss rates one-third as high as the mortgages held by banks. Yet Treasury imposed far more onerous terms on Fannie and Freddie than on commercial banks that required assistance. Treasury’s effective nationalization of Fannie and Freddie was a policy decision, and the compensation Treasury granted itself upon taking over Fannie and Freddie was grossly disproportionate to the true economic risk it faced, both at the time and subsequently. Treasury officials have stated that the decision to place Fannie and Freddie under government control was made after the Housing and Economic Recovery Act (HERA) was signed on July 30, 2008, and only shortly before the conservatorships were announced. Readily available facts, however, do not support that contention. In the early 2000s, Treasury and the Federal Reserve undertook a series of actions, including a reduction in bank risk-based capital requirements, designed to promote the use of private-label securities—securities issued by companies other than Fannie, Freddie, or the Government National Mortgage Association—as an alternative to residential mortgage financing by those companies. Private-label issuance became the dominant form of mortgage securitization in 2004, but in late 2007 the private-label market collapsed amidst an explosion of delinquencies and defaults. The result was in a sharp fall-off in the availability of mortgage credit, to which Congress responded in February of 2008 by nearly doubling the maximum dollar amount of individual mortgages Fannie Mae and Freddie Mac could finance. That gave the companies access to the largest share of new residential mortgage loans in their history. Within a month, a senior official at the National Economic Council, Jason Thomas, sent a copy of a paper titled “Fannie Mae Insolvency and Its Consequences” to Robert Steel, undersecretary for domestic finance at Treasury. This paper had been provided to Barron’s as the basis for a negative article on Fannie published on March 8. The paper and the article each opined that because of risky loan acquisitions and four accounting treatments the paper claimed were questionable—for deferred tax assets, low-income housing tax credits, and the valuation of Fannie’s private-label security holdings and its guaranty obligations for mortgage-backed securities—the company was in danger of failing and might have to be nationalized. In an email message transmitting the paper to Steel, Thomas wrote, “Attached is a document used as the sourcing for today’s Barron’s article on the potential collapse of Fannie Mae. I send it only to help inform potential internal Treasury discussions about the potential costs and benefits of nationalization.” The wording of this message makes clear that the subject of Fannie nationalization had been raised at Treasury at that early date. Moreover, the paper’s prescription for Fannie insolvency—writing down many of the company’s assets and greatly boosting its loss reserves—was a virtual blueprint for what Treasury and FHFA would do six months later. On July 11, 2008, the New York Times published a front-page article saying, “Senior Bush administration officials are considering a plan to have the government take over one or both of [Fannie and Freddie] and place them in a conservatorship if their problems worsen.” Shares of the companies plunged, and in response Paulson publicly pledged support for them on July 13, saying, “Fannie Mae and Freddie Mac play a central role in our housing finance system and must continue to do so in their current form as shareholder-owned companies.” Yet he had a very different private message for Wall Street insiders. As reported by Bloomberg in November of 2011, Paulson met with a select group of hedge fund managers at Eaton Park Capital Management on July 21, where he told them Treasury was considering a plan to put Fannie and Freddie into conservatorship, which would effectively wipe out their common and preferred shareholders. That is precisely what happened six weeks later. When HERA was enacted on July 30, it created a new regulator for Fannie and Freddie, FHFA (effectively, OFHEO renamed), and gave it expanded powers to put both companies into receivership or conservatorship. HERA included a clause not present in any other regulatory statute: “The members of the board of directors of a regulated entity shall not be liable to the shareholders or creditors of the regulated entity for acquiescing in or consenting in good faith to the appointment of the agency [FHFA] as conservator or receiver for that regulated entity.” This clause would come into play within a matter of weeks. When Paulson met with the directors of Fannie and Freddie to inform them of his intent to take over the Companies, neither entity met any of the twelve conditions for conservatorship spelled out in the newly passed legislation. It is impossible to know whether Fannie and Freddie’s directors would have balked at Treasury’s demand that they allow their companies to be put into conservatorship without statutory cause had there not been a provision in HERA exempting them from shareholder lawsuits. Yet there can be little doubt that this provision had been placed in the statue to make forced conservatorship easier. Treasury, however, lacked authority to put the Companies into conservatorship; only the new regulator, FHFA, could do that. And as late as August 22, 2008, FHFA had sent both Fannie and Freddie letters saying the Companies were safe and sound and exceeded their regulatory capital requirements. Paulson therefore directed Lockhart to change his agency’s posture on the Companies. Not two weeks after certifying the adequacy of the Companies’ capital, FHFA did an about-face on September 4, 2008, sending each company an extremely harsh mid-year review letter, alleging weaknesses and making criticisms never before communicated to either. Two days later, Paulson, Lockhart and Federal Reserve chairman Ben Bernanke met with the Companies’ CEOs and directors to tell them they had no choice but to agree to conservatorship. Treasury’s actions to place Fannie and Freddie into conservatorship were fundamentally different from regulatory interventions in support of other financial institutions during the 2008 financial crisis. All of the commercial and investment bank rescues (or failures)—as well as that of AIG—occurred in response to sudden and uncontrollable liquidity crises, and had similar profiles: market perceptions of a sharp decline in the value of a company’s mortgage-related assets led to rapid outflows of consumer deposits, or an inability to roll over maturing short-term obligations (in the vernacular, a “run on the bank.”) Depressed asset prices made it impossible for these lightly capitalized companies to replace lost deposits or maturing short-term debt by selling assets without taking losses that would have exhausted their capital. The Federal Reserve and Treasury were confronted with the need either to take immediate steps to save them—whether through massive provisions of liquidity, assisted mergers, asset guarantees or other measures—or to allow them to fail. Fannie and Freddie faced no similar threats. In the winter of 2000, both had agreed with Treasury, and pledged publicly, to maintain sufficient liquidity to enable them to survive at least three months without access to the debt markets. As a consequence of this pledge, unlike all of the other companies rescued by the government during the financial crisis, neither Fannie nor Freddie ever experienced any imminent risk of insolvency because of difficulty rolling over maturing debt. Nor did they need to sell assets at depressed prices to survive. The companies never experienced a market crisis. Moreover, at the time they were forced into conservatorship, both exceeded their regulatory capital requirements—Fannie by $9.4 billion, and Freddie by $2.7 billion. Their placement into conservatorship was not a rescue; it was a policy choice by Treasury, with its timing determined by Paulson. As he said in On The Brink, he wanted to put them into conservatorship before Lehman Brothers announced a “dreadful loss” for the second quarter of 2008. On the day Fannie and Freddie were put into conservatorship, Treasury entered into Preferred Stock Purchase Agreements (PSPAs) with FHFA, in which Treasury committed to purchase a new type of security—senior preferred stock—from Fannie and Freddie if and when requested (or “drawn”) by them to maintain a positive net worth. The stock entitled Treasury to dividends of 10 percent if paid in cash or 12 percent if paid in kind (i.e., by taking more senior preferred stock, thus increasing Treasury’s liquidation preference.) In exchange for this commitment, Treasury received as a fee $1.0 billion in senior preferred stock from each company, together with warrants to purchase 79.9 percent of Fannie and Freddie common stock at a nominal price. Neither company’s board had any input into the terms of the PSPAs, nor did they request or consent to them. The PSPAs had one feature unique to Fannie and Freddie: draws of senior preferred stock from Treasury were not repayable, meaning that dividends on any draws had to be paid in perpetuity. No other regulator in the world, at any time or under any set of circumstances, ever had used non-repayable senior preferred stock as a vehicle for rescuing an institution in crisis, or for any other purpose. The only plausible rationale for the non-repayment restriction was as a means of transforming temporary losses at Fannie and Freddie into permanent revenues for Treasury. As conservator, FHFA was in a position to adopt accounting conventions at the companies that pulled non-cash expenses forward or allowed them to be recorded based on estimates. Book losses created in this fashion had to be offset with senior preferred stock, and the non-repayment feature ensured that even if the losses were reversed—or turned out to be non-existent—Treasury still received a perpetual dividend equal to 10 percent of the highest cumulative loss at each company (or 12 percent if the dividends were paid in kind). The mere existence of this unprecedented non-repayment feature in the PSPAs was a virtual admission that Treasury intended to engineer a massive bunching of Fannie Mae and Freddie Mac’s expenses as soon as the conservatorship was in place—and that is exactly what transpired. As lenders limited to the residential mortgage business, Fannie and Freddie were particularly vulnerable to the home price declines that began in the summer of 2006. In the four quarters prior their conservatorships, Fannie reported cumulative losses of $9.7 billion, while Freddie had losses of $4.7 billion. Yet both companies continued to meet their regulatory capital requirements throughout that time, and on June 30, 2008, Fannie Mae had $47.0 billion in core capital and Freddie Mac had $37.0 billion. The Companies were placed into conservatorship on September 6, 2008, and immediately afterward their losses spiked. From the third quarter of 2008 through the end of 2009, Fannie’s after-tax book losses totaled $126.2 billion. It posted further, much smaller, losses of $14.0 billion in 2010 and $16.9 billion in 2011. Freddie’s combined losses from the second half of 2008 through 2009 were $70.7 billion, followed by losses of $14.0 billion and $5.3 billion in 2010 and 2011, respectively. Together, the Companies’ losses were enough to wipe out all of their capital and cause them to require $187 billion in draws from Treasury—$116 billion for Fannie and $71 billion for Freddie. The popular interpretation of the Companies’ post-conservatorship losses is that they were a consequence of poor credit decisions made prior to the crisis. An analysis of their financial statements, however, tells a completely different story. Between 2008 and 2011, Fannie and Freddie suffered a combined $101.4 billion in credit losses. Yet during that same period, their 2008-2011 business revenues—guaranty fees plus net interest income—still were sufficient to cover both these exceptionally high credit losses and $15.5 billion in administrative expenses. How, then, could the Companies not only have burned through $84 billion in core capital but also have become obligated to pay $18.7 billion per year in perpetuity on $187 billion in senior preferred stock owed to Treasury? The answer: well over $300 billion in non-cash charges booked to their income statements after they were put in conservatorship and placed into the hands of FHFA. As the larger of the two companies, Fannie Mae’s non-cash charges were the more significant. By themselves, Fannie’s 2008-2011 operating results and the new capital it raised in May 2008 would have produced core capital on December 31, 2011 of $47.8 billion, a modest increase over the $47.0 billion it held on June 30, 2008. But non-cash expenses in five accounting categories totaling $200 billion turned this positive result into a yawning deficit that required $116 billion in senior preferred stock to fill. Increase in loan loss reserves—$89.8 billion. On December 31, 2007, Fannie had a general loss reserve of $3.4 billion. Four years later it had five categories of loss reserves totaling $93.2 billion. Reserving for credit losses is subjective, and can vary widely among comparable institutions. On December 31, 2011, Bank of America was the largest bank holder of residential first mortgages, with $262.3 billion, or 18 percent of the industry total. During the 2008-2011 period, Bank of America’s loss rate on residential mortgages was over two and a half times Fannie’s loss rate. Yet at the end of 2011, Fannie’s loss reserve as a percentage of the mortgages it owned or guaranteed was half again as large as Bank of America’s. Were Fannie to have had the same risk-adjusted reserve percentage as Bank of America, its loss reserves on December 31, 2011 would have been $25.7 billion—$67.5 billion less than it actually held. Fannie Mae’s loss reserve increase came almost entirely from two sources: outsized additions to its general loss reserve and the liberal use of impairment accounting. Under FHFA’s conservatorship, the methods and techniques Fannie used to determine the size of that reserve changed radically. The company revised its loss exposure evaluation procedure to incorporate shorter historical periods for estimating default rates and loss severities, changed its loan aggregation schemes, and added a geographical component. Fannie noted in its 2008 10K that these changes, all of which were discretionary, “had a significant adverse impact on our loss reserves.” The company also came up with a concept called a “loss confirmation period” that permitted it to reserve against many more loans, by greatly stretching the restriction that a general loss reserve could only include loans for which “a liability has been incurred as of the statement date.” By December 31, 2011, Fannie’s general loss reserve had soared from $3.4 billion to $26.3 billion. Impairment accounting allowed Fannie to record as immediate expenses not only credit losses that otherwise would have been booked over time but also estimates of future losses and in many cases even the present value of foregone interest payments. Fannie used impairments to add $63.2 billion to its loss reserves through the end of 2011. It put $16.3 billion in a new (and discretionary) reserve for delinquent loans purchased from mortgage-backed securities pools, and also put $46.9 billion into another new reserve for individual impairments on modifications of non-performing loans. Fannie’s average impairment on modified loans was 27.5 percent of the loan balance, nearly triple the 10.5 percent average impairment on Bank of America’s modified mortgages. Further, three quarters of Fannie’s individual impairments—$35.1 billion—were on modifications made under a controversial Treasury initiative called the Home Affordable Mortgage Program, which was mandatory for Fannie and Freddie but voluntary for banks and other lenders. On December 31, 2014, Fannie still had $41.2 billion in reserves for impaired loans. Most of this amount was for mortgages that were again performing, with those reserves to be released into income over the remaining lives of the loans. Valuation reserve for deferred tax assets—$64.1 billion. Deferred tax assets result from timing differences between when income and expense are shown in a company’s financial statements and when they are recognized for tax purposes. Creating a reserve for these assets—effectively writing them off—was a key component of the insolvency strategy discussed in the “Fannie Mae Insolvency and its Consequences” paper circulated within Treasury in March 2008. To justify doing so, Treasury and FHFA merely had to conclude that, with the large increases in the loss reserve and the other accounting write-downs they intended to incur, Fannie would not have enough taxable income to use the full value of its deferred tax assets. They made that determination almost immediately. In its 10K for the third quarter of 2008, Fannie stated, “As of September 30, we concluded that it was more likely than not that we would not generate sufficient taxable income in the foreseeable future to realize all of our deferred tax assets.” It set up a deferred tax valuation reserve (a deduction from earnings) of $21.4 billion that quarter, and increased the reserve by another $9.4 billion the following quarter. The continued acceleration of expenses engineered by Treasury and FHFA over the next three years increased Fannie’s deferred tax assets to $64.5 billion at the end of 2011. The valuation reserve rose almost as much, to $64.1 billion. Because of the deferred tax valuation reserve, Fannie received no tax benefits on any of the non-cash expenses it incurred (or on many of its credit losses), and as a consequence the senior preferred stock it was forced to take from Treasury rose by an amount equal to the valuation reserve: $64.1 billion. Net fair value losses—$20.1 billion. Virtually all of these “mark-to-market” losses were on derivatives used to reduce Fannie’s interest rate risk. In April 2008, Fannie elected hedge accounting for its mortgage assets, with the stated purpose of “reducing the volatility in earnings due to our derivatives mark-to-market associated with changes in interest rates.” As soon as Fannie was put into conservatorship, however, that election was reversed. 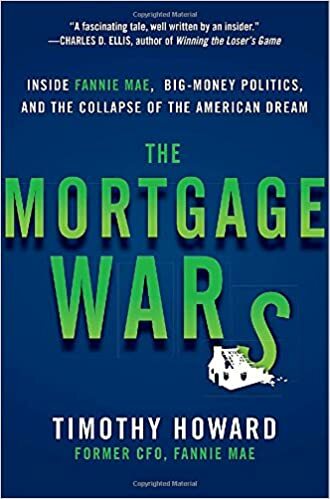 In its 2008 10K, the company said, “[W]e modified our hedge accounting strategy during the third quarter of 2008 to discontinue the application of hedge accounting for mortgage loans.” Interest rate declines during 2008-2011 led to large mark-to-market losses on Fannie’s interest rate swaps. Mortgages hedged by those swaps rose in value at the same time, but in the absence of hedge accounting the fair value gains on the mortgages were not eligible to be taken into income; only the derivatives losses were. Other-than-temporary impairments on private-label securities—$17.9 billion. Fannie held $63.6 billion in single-family private-label securities on June 30, 2008. Through that date the company had taken $722 million in impairments on those securities. After the conservatorship, it chose to take a further $17.3 billion in impairments on essentially the same portfolio. These impairments included $6.1 billion for “non-credit” factors, involving price declines due to market illiquidity. Almost by definition, price declines due to illiquidity are temporary, yet Fannie still labeled those losses “other-than-temporary,” and took impairments on them. Losses from partnership agreements—$8.4 billion. These losses stemmed from two decisions by Treasury. The first was the same as led to the creation of the deferred tax asset valuation reserve: that Fannie would not be profitable for the foreseeable future. When Treasury made this determination the company lost the use of the tax credits from its partnership agreements but kept their net operating losses. The tax credits still had value, since they could be sold to entities that could use them, but the PSPA required to obtain Treasury consent to sell any of Fannie’s assets. Treasury declined to give it. The $200.3 billion in non-cash expenses in the above five accounting categories transformed a modest gain in Fannie’s 2008-2011 cash business results into losses so large the company was forced to take $116.1 billion in draws of senior preferred stock from Treasury to avoid a negative net worth. And the $19.8 billion in after-tax dividends paid on this stock through 2011—the equivalent of $30.5 billion pre-tax—brought the company’s combined 2008-2011 pre-tax non-cash losses and dividends to over $230 billion. Had Fannie not been in conservatorship during this time it certainly would have posted some increase in its loss reserves, had some fair value losses, and booked some impairments on the private-label securities it owned. The amounts, however, would have been nowhere near those actually recorded. Indeed, a privately managed Fannie Mae may well have survived the crisis. Credit losses on loans from the bubble years, as bad as they were, did not bring the company down. It took an avalanche of non-cash accounting charges—made after Fannie was put in conservatorship and came under the control of FHFA and Treasury—to do that. Treasury claims that the third amendment to the PSPA was essential to prevent Fannie and Freddie from entering “death spirals” of endless borrowing in order to continue to make their dividend payments. This argument fails for two reasons. First, there never could have been death spirals because the Companies’ losses were not economic; they were the result of accounting judgments, which at worst only accelerated expenses—resulting in lower levels of expense (and higher profits) in the future—and in some cases reversed and came back into income. Second, FHFA as conservator of the Companies always had the option of paying the Companies’ senior preferred stock dividends in kind rather than cash, avoiding the need to borrow. Anyone familiar with Fannie’s and Freddie’s financial statements—and Treasury certainly fell into that category—would have known that at the end of 2011 the Companies were on the verge of reaping the benefits of the accelerated or artificially inflated expenses booked since the conservatorship began. For example, the $89.9 billion Fannie had added to its loss reserves since 2007 was available to absorb future credit losses. In the first half of 2012, Fannie charged all of its $8.9 billion in credit losses against the loss reserve, rather than against income. Without credit losses deducted from income, Fannie’s guaranty fees and net interest income were sufficient to return the company to profitability. In the first quarter of 2012, Fannie reported a profit of $2.7 billion, its first positive result since the second quarter of 2007. Then, the $5.1 billion profit it reported for the second quarter of 2012 was enough to both pay its quarterly senior preferred stock dividend of $2.9 billion and (with $0.3 billion in positive market-value adjustments to its equity account) add $2.5 billion to retained earnings. The second quarter of 2012 marked a clear turning point. Freddie Mac also was able to charge credit losses against its loss reserve, and it, too, reported a second quarter 2012 profit large enough to pay its senior preferred stock dividend and add to its capital. With both companies able to use their ample loss reserves to absorb current-period credit losses for at least the next few years, it was a virtual certainty that they would be profitable enough to warrant the release of the valuation reserve on their deferred tax assets, adding still further to their profits. Treasury, of course, knew all this; it was the entity that had engineered the Companies’ accounting losses and excessive loss reserving in the first place, following the roadmap from “Fannie Mae Insolvency and its Consequences.” It was no coincidence that Treasury and FHFA agreed to the Third Amendment to the PSPA less than two weeks after Fannie and Freddie announced their second quarter earnings. Under that Amendment, the two companies were required to give all of their future profits to Treasury instead of paying a quarterly dividend. The express purpose of the Third Amendment was to ensure that when the effects of Fannie’s and Freddie’s earlier accounting-related write-downs and excessive loss reserving were reversed, it would be the government, and not the Companies’ shareholders, that benefited. From the time the Third Amendment was adopted through the end of 2014, Fannie and Freddie paid Treasury $170.2 billion as a result of the Net Worth Sweep. Had the original dividend payment remained in effect, Treasury would have received only $37.6 billion, while the Companies would have retained the remaining $132.6 billion. FHFA’s management of Fannie’s and Freddie’s payments to Treasury is revealing. When the Companies had no earnings, and could have paid their senior preferred stock dividends in kind, FHFA had them make the payments in cash, adding to the their losses. Then, as soon as the Companies’ accounting losses began to reverse themselves and they became profitable again and could afford cash dividends, FHFA agreed to the Net Worth Sweep. FHFA consistently acted not to conserve the assets of Fannie and Freddie, but to maximize the revenues of Treasury. That statement was demonstrably incorrect. Treasury took virtually no risk in rescuing the Companies. As noted previously, Fannie and Freddie were able to cover what DeValk called their “massive investment losses” with their guaranty fees and the net interest income on their portfolio holdings. What they could not cover were the massive temporary accounting losses forced on them by FHFA, and converted into permanent income for Treasury through the use of non-repayable senior preferred stock. There is no mystery about mortgage loan performance during and after the financial crisis. Solid data now exist, and they show that, from 2008 through 2014, the average loss rate on residential mortgages owned or guaranteed by Fannie and Freddie was 0.45 percent per year. The loss rate for residential mortgages owned by commercial banks during this same period was 1.43 percent per year—more than three times as high. And while estimates of loss rates on private-label mortgage-backed securities vary, all significantly exceed 2.0 percent per year, over four times the Fannie and Freddie rate. Fannie and Freddie were, by far and without doubt, the most responsible mortgage lenders prior to the crisis. This is relevant in assessing Treasury’s compensation for “rescuing” the Companies. Compensation must be related to risk, and a comparison with Treasury’s risk and compensation in its interventions on behalf of banks shows its extraordinarily disproportionate treatment of Fannie and Freddie. Banks assisted by Treasury were suffering life-threatening liquidity crises and needed Treasury assistance to survive; Fannie and Freddie faced no such threats to their survival and were taken over against their will. Treasury made unlimited amounts of repayable loans to the banks it rescued at pre-tax interest rates of between 2.5 and 5.0 percent; Fannie and Freddie were required to offset book capital shortfalls with non-repayable senior preferred stock from Treasury paying an after-tax dividend of 10 percent—or 15.4 percent pre-tax. Bank mortgages collateralizing Treasury loans were more than three times as risky as the mortgages held by Fannie and Freddie, yet banks could limit the cost of their Treasury assistance by repaying their loans; Fannie and Freddie were required to pay a 15.4 percent pre-tax dividend in perpetuity, based on the highest dollar amount of senior preferred stock outstanding at any one time. Charging Fannie and Freddie three to six times what it required banks to pay for assistance the banks needed but the Companies did not, charging that amount in perpetuity rather than until repayment, and on loans that were less than one-third as risky, was not enough for Treasury. It also took warrants for 79.9 percent of Fannie’s and Freddie’s common stock for a nominal fee—something it did not do with any commercial or investment bank it rescued—and reserved for itself the right to charge a further “periodic commitment fee” in the future. The gross overcompensation exacted by Treasury from Fannie and Freddie was made possible because Treasury did not negotiate the terms of the Companies’ assistance with management, but set those terms in consultation with FHFA, an agency it controlled. Treasury did not take “enormous risk” in its dealings with the Companies. It took minimal risk, and instead used its commanding regulatory position to effectively nationalize Fannie Mae and Freddie Mac at no cost, and with great financial and policy benefits to itself. For the foregoing reasons, the judgment of the district court should be reversed.